Tasting room open daily from 12-6pm (and 12-7pm on Friday and Saturday)! Pints (up to two per person) and Flights now available!! When you walk into our tasting room you will be greeted with the smells of warm malts and hops as well as a beautiful 43 foot long bar. Our staff will happily serve you up a flight of beer samples or a pint, some of which are only available in our tasting room. Thanks to our hard working production team, we have a constantly changing beer menu that is likely to satisify all palates. Since we change our Tasting Room Taps regularly, be sure to check the list below to see what we're pouring before you come in. And don't forget to order a Warm Pretzel with Mustard Made from Our Brews while you enjoy your beer. While you are here, be sure to grab some Tuckerman Brewing gear from our on-site store or take a tour (Daily at 2pm and 4pm ... No reservations necessary). 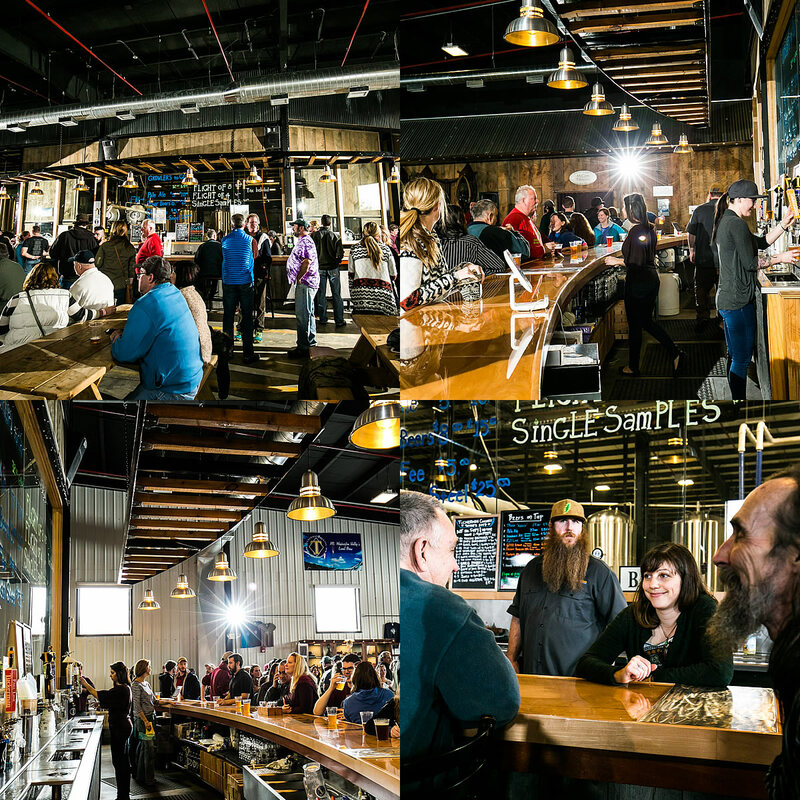 Learn more about our brewery tours or Check out the Brewery Photo Gallery. Growlers and Crowlers Available!! We also offer growlers (32 and 64 oz) and crowlers (32 oz) ... and we can fill them with any of the beers that we have on draft ... so you can take your favorite TBC brew home!! !